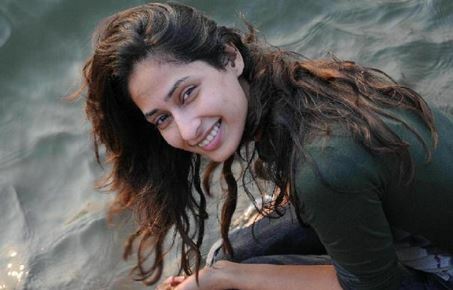 Priya Marathe is a Marathi actress. She was born and brought up in Thane. Ya Sukhano Ya in 2008 was her debut serial. She was in her last year of college when she auditioned for this serial. Her Mother is a Yoga teacher, and she is fond of gymnastics and playing badminton. Later, she also found fame in Hindi TV world with the hit serial Pavitra Rishta. Pizza, Pasta and Puranpoli are her favourite food items, and she is a vegetarian. Reading English novels and travelling are few of her hobbies. Vignaharta MahaGanpati was her debut Marathi film & it was released in February 2016. Big marathi superstars like Sameer Dharmadhikari, Alka Kubal, Vijay Chavan and Sharad Ponkshe are her co-stars in the film. Date of Birth / Age / Birthday 23rd APRIL, 1987. Her age while updating this article in 2018 is around 31 years. Marital Status / Marriage & Wedding / Husband Her Husband Name / Currently Married to Shantanu Moghe since 2012. Height and Weight Her Height is 5 ft 8 inches.